Ironically, having an office can cause some work-stopping problems. There you are, creating and cultivating a space where people can come together to work more efficiently, in a space designed for it. But then tedious tasks keep popping up, taking you away from that very work to deal with instead. Well if the current arrangement isn’t working out for you, we have a suggestion. Don’t do those things. Instead, pay other people to deal with them instead, and clear your mind for work that actually matters. If that proposition has intrigued you, then these are the Malaysian startups that you could be offloading some of your tasks to. To be honest, you can get a GoGetter to do pretty much any work that one would usually keep a runner in for. 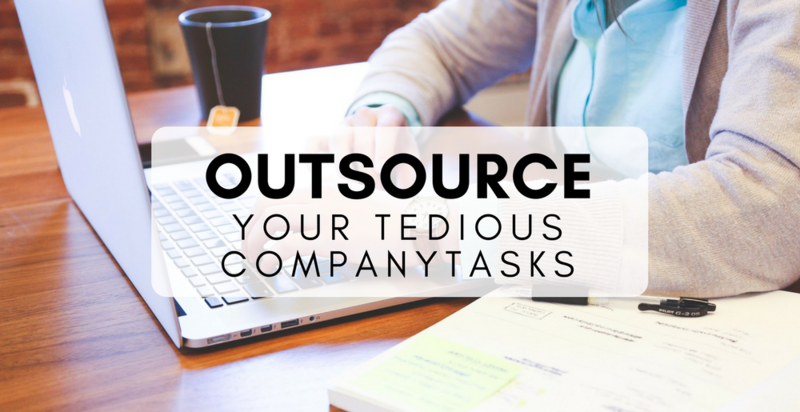 They also hire out “skilled” GoGetters who can also handle tasks like admin or data entry. So a tedious job like driving around to deliver documents, or even mailing out documents or parcels at the post office can be left to a GoGetter, while you revel in suddenly having so much more time to do things. Instead of having to sort through and carefully file all of your documents carefully, Firegent’s platform instead gets an A.I. to automatically identify, sort and index documents quickly. On their platform, once a document is scanned, it can easily be automatically located, even if you don’t remember the document name, or which folder it’s stored in. They think that sorting documents in computer folders are so 20th Century, after all. Besides being able to track if an employee is trying to make fake MC claims, Healthmetrics looks into streamlining the entire medical process for your HR. This goes from tracking your employee’s health needs to linking your provided healthcare with the right doctors or healthcare practitioners. One of the biggest time-wasters in the office is the infamous “Where are we going to eat today?” question. Not only does this take up precious time off the limited work day to hash out a location that everyone can be satisfied with, a delay in going out to lunch could put your entire crew’s schedule out of whack—wasting even more time. Supplycart’s recent offering offers a solution to this famous problem. By having a variety of dishes that come to the office every day, the simple answer often is now just “what’s available in the pantry today”. For the types of businesses that often entertains a large amount of guests, or run events, they can consider taking up catering from Supplycart as well, as the service is certified Halal and MesTI certified for cleanliness and reliability. You could also make use of their quotation form where the team will respond to you in a day. To know more, you can read their latest post about it on their blog here. Vase is an on-demand market research platform that collects consumer insights via surveys. They help clients ask questions, target people within their database, and analyse the data for them. One of their oft-highlighted strengths is their speed, which allows them to send out surveys and collect answers in as short a time as 24 hours. It’s crucial for companies to keep tabs of the trends in their businesses, each with their own unique metrics. Often, programmers have to develop the software themselves. And since Firegent already has AI that is capable of analysing your documents, the same platform is able to automatically pull out information to arrange them into trends and charts. So there you have it, these are the companies that can help take off the most tedious of tasks, freeing you and your employees to focus on other things. Does your company use other Malaysian startups we haven’t highlighted to handle tedious tasks? Let us know in the comments below.